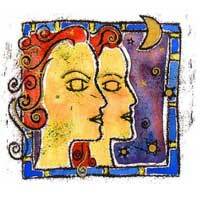 Alongside Pisces, Gemini's career is strongly influenced; as well as their ambitions, aspirations and status. Neptune and Mercury produce confusion; Pisces natives confuse you. You want to solve mysteries, to get answers, you seek perfection in a relationship. 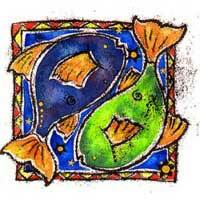 You want to move forward, gain power and authority; and for all these, Pisces has a positive influence. You will do wrong thinking as you usually do. You are the one dominating the relationship. He's leading but in a subtle way and you are following, sometimes without noticing. You will encounter problems in this relationship, as you try to compensate through romanticism; but you fail because of the lack of passion. There is this wish as well as illusion; the main aim is to make this illusion reality. You need strength to make this relationship work. Gemini and Pisces can learn from one another and lessons can even be difficult.